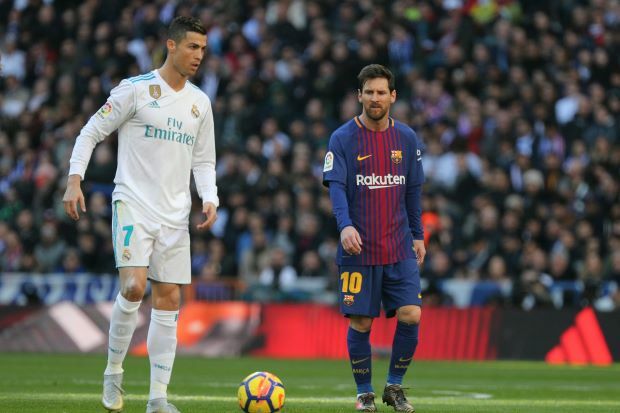 FC Barcelona forward Lionel Messi says he misses facing his arch-rival Cristiano Ronaldo as the former Real Madrid forward offered “Prestige” to La Liga. Messi has started 2019 in an awesome form with the Catalan side fleeing with La Liga and through to the Champions League quarter-finals, and Real Madrid struggling hard to keep their feet having sold Ronaldo to Juventus in the summer transfer window. Ronaldo has kept on saving his best for Europe’s elite club competition, with a superb hat-trick against Atletico Madrid firing the Seria A giants into the quarter-finals of the Champions League. The Portuguese forward enjoyed success in Madrid, winning three consecutive Champions League titles and, talking on an Argentine radio station on Friday, Messi astounded the audience with a confession about his rival. Messi and Ronaldo are widely considered to be two of the greatest players to have ever played the game. The draw in this manner guaranteed Messi and Ronaldo can’t meet except if the two clubs qualify for UCL final, which is set to be played at Atletico’s Wanda Metropolitano home ground. Messi said he was still tortured by the loss of the 2014 World Cup final to Germany in extra-time and warned fans not to expect too much from Argentina at this year’s Copa America in Brazil. “Do you know the number of times I’ve replayed the final and the chances we had? It would have been so different if we’d scored one of them,” he added.